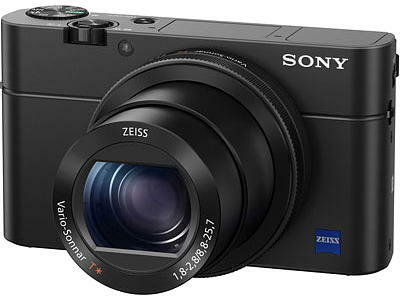 The Sony RX100 IV Compact Camera! When you are out on your motorbike wearing a leather jacket there are very few expert cameras that will fit in your pocket BUT the camera that stands out is the Sony RX100 IV Compact which is small enough to pick up and go without any thought to it's size and weight. To get right into the Sony RX100 IV compact camera - check out the User Manual. The RX100 IV has image stabilisation and a Zeiss zoom lens with a f1.8 wide aperture and 24-70mm field of view which will accommodate even 'low light' night street photography. The icing on the cake is that it has a 'pop up' OLED electronic viewfinder and a 20.1 MPixel x 1" size digital sensor. The image samples I have seen on the internet are excellent. The best camera jpeg image captures shot in reasonable light conditions are in the ISO:80-1600 range and good for up to A3 print size. Should the print size be A4 or below, then I suspect that ISO:3200 could be used with minimum noise vs image quality. The 20Mpixel sensor delivers very high resolution 'RAW' file images which even in the higher ISO:3200-6400 ratings can be cleaned up using post processing software and yet retain a great deal of detail in the image in relation to the final print size. The RX100 IV costs £849.00 vat inclusive in the UK which seems a bit steep BUT that is a reasonable investment if it is to be your only camera! Whether you set the RX100 IV up to shoot jpegs straight out of the camera and make prints for your gallery or shoot 'RAW' image files and tweak them into an art form using post processing software, the camera delivers the technology and manual controls in a neat package. 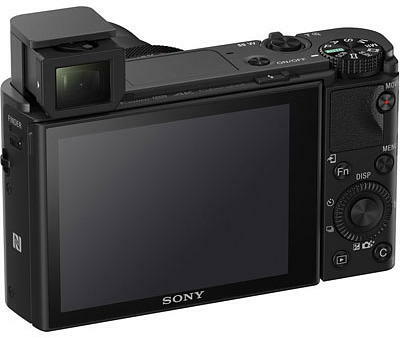 From the Internet - "The Sony Cyber-Shot RX100 IV brings the world's first stacked Exmor RS 1.0 type CMOS sensor with a DRAM memory chip, 40x super slow motion capture, 4K video shooting and high-speed anti-distortion shutter in a pocket-sized point-and-shoot. This new sensor improves the overall AF performance speed and enables users to capture fleeting moments of action with stunning detail, resolution and clarity, with ease. The RX100 IV maintains the compact design of the RX series making it ideal for day-to-day shooting, and has a Zeiss Vario-Sonnar T* 24-70mm (35mm equivalent) f/1.8-f/2.8 lens"
Video + View more Sony Videos from the Sony Website.